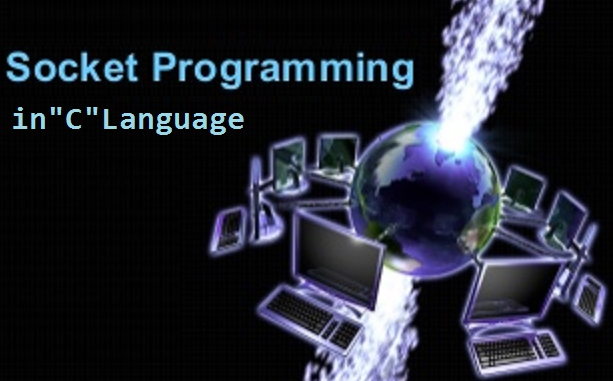 Network programming plays a vital part in development of peer-to-peer transmission of any kind message in any form. Whenever there is a need to communicate between client and the server, socket programming plays an important role. In this piece of writing, we are going to discuss in short about the socket programming in C. The basic consideration of socket programming is related to networking. 1. Facebook chat panel is considered as an “Endpoint” for communication. 2. Both are having unique ID like your login “Address” and both are ready to listen any kind of chat in any form. 4. After your message is sent, your friend will start receiving chat as a “Receiver”. 5. As soon as this channel is established, you can start “Communicating” with your friend. 6. Once you are finished with the conversation, you can “Close” the chat window anytime. Bind() : Assign a unique ID. Listen() : Wait for a chat. 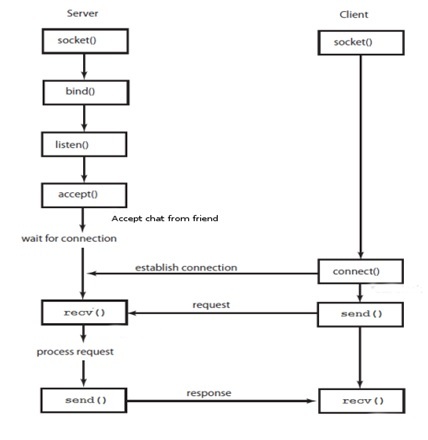 Accept() : Accept chat from friend. Send(), Recv() : Start Chatting. As all of them are self explanatory, in most of the cases 1st type of struct is used and if any other type is used then it will be casted to type 1st. 2 type of byte ordering are used; Big Endian and Little Endian. All hosts uses Little Endian order, so before passing it to the network, bytes need to be converted into Little Endian. IP Address format: Before passing to the network; IP address should be converted into Network format (Binary Format). This function creates an endpoint for network connections. Return : Descriptor on success and -1 on an error. 4. Accept Function : Accept new connection from client. message = Pointer to a message. socket = The socket that need to be close.